Label Source stock a comprehensive selection of high-quality rack labels for warehouses, store rooms and other premises. These warehouse racking labels are magnetic, making them easy to attach, remove. They can also be written on and erased as necessary. 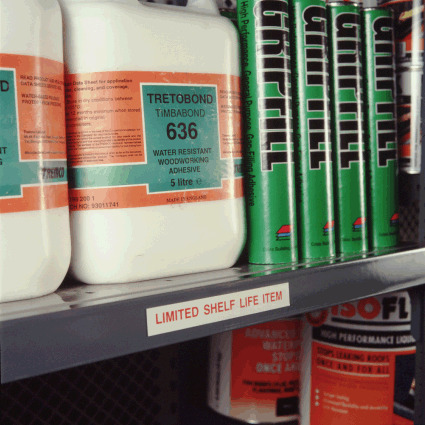 All of our warehouse racking labels can be removed, repositioned, and re-used with ease, helping you to avoid errors and give your staff up-to-date product information at all times. If you have any questions about our magnetic rack labels, please feel free to contact us for assistance. Minimum maximum stock rack label. Expiry date stock rack label. Shelf life stock rack label. Unit of issue stock rack label. Limited shelf life time stock rack label. Do not reorder stock rack label. On order stock rack label. Return to stock rack label. Return to supplier stock rack label.